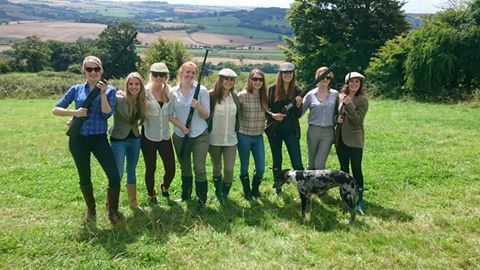 Clay pigeon shooting is a very exciting activity to participate in, whether in the form of corporate entertainment, stag and hen do’s or simply as entertainment for a private party. The Satisfaction of shooting a shotgun and hitting moving targets really gets the blood pumping! With our APSI instructor (Association of Professional Shooting Instructor) we have the skills to give you the necessary guidance needed to get to terms with the clays and start to really enjoy your clay shooting experience. We are able to offer clay pigeon shooting events specifically tailored to your needs. Our venue is perfect for corporate events and private parties of any size and we are able to provide a variety of catering options, which suit your particular requirements. We use state of the art Promatic Huntsman XP clay traps, which allow us to provide a huge range of targets to suit experienced and novice shooters alike. When combined with our great location, our versatile equipment allows us to create a fantastic shooting experience for any client. Why not consider simulated game shooting for your event? The Bath Shooting Company offer a package where you and your group can start the session off with practice shots and tuition and then have crack at simulated game shooting. Available to all experience levels, certificate holders and non certificate holders. See below for package details or for our full simulated days see simulated game page for more info. At the Bath Shooting Company we believe that shooting should be available to everyone, which is why we are able to provide shooting experiences for all budgets, just email us at enquiries@bathshootingcompany.com with your requirements and we will strive to provide you with the clay shooting experience that is right for you. Below are some example packages but if you have something else in mind get in touch and we will arrange it! If you wish to create you own package just get in touch. Total of 50 cartridges per person – 15 cartridges practice on different targets with tuition then simulated Game Flush of a further 45 cartridges per person.